It had me thinking of the wine industry and the contributions women have made and will continue to make. I thought about some of the women that I met on my trip to Porto and Douro recently. For such an historical region, with wine production dating to the 18th century when it was noted as the first demarcated region in the world, it has been dominated by men. 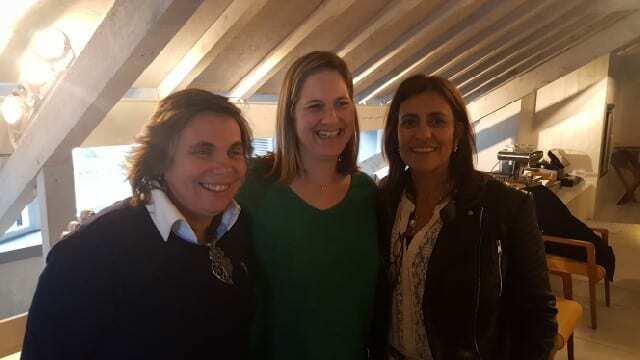 But I learned an interesting fact: A woman is the person considered the leader in winemaking innovations and one of the leaders in the history of the Douro Valley. A Ferreirinha (1811-1896), born Antónia Adelaide Ferreira, was the first woman to head a Port company after inheriting vineyards from her family. Widowed at 33 years of age, she became the executive of the estates and is attributed with leading the cultivation of Port wine. During the time of phylloxera, which destroyed many of her own vineyards, she traveled to England to learn modern techniques to fight it and brought American rootstock back to Portugal. She also learned winemaking processes that she incorporated back in Portugal. I had the pleasure to visit Ana Paula at her home in the heart of Douro, approximately three kilometers from Peso da Regua. 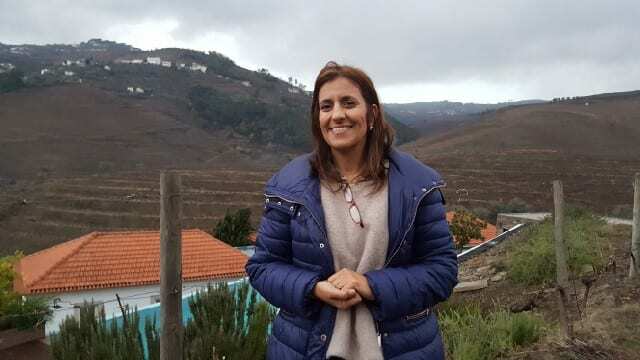 Ana Paula Filipe Castro was working as a lawyer in Porto when she and her husband, a lieutenant colonel in the military, purchased property in the Douro. They started with six hectares with existing vines and built their home on the property. Ana Paula, her husband and their three daughters moved into the house in 2006 and their first vintage was 2010. They purchased 14 additional hectares in Pinhao, a warmer area to the east. The winery is named Chaquedas in honor of a field that her grandfather owned. She had sold the property to purchase her current property but the memory lives on. With her husband away for work, Ana Paula is the one who runs the day to day operations of the vineyard and winery. 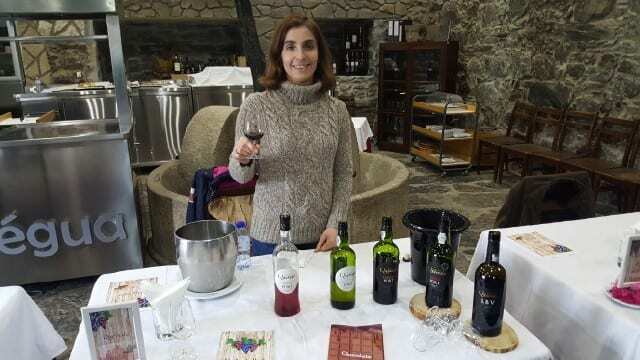 She is currently producing three wines: Chaquedas Douro, Chaquedas Douro Reserve and Lote 5, a gran reserve that is a blend that represents the five members of the family. I met Catarina Albuquerque Castro at a lunch where we enjoyed her wines with our meal. Catarina is the 23rd generation from one of the oldest properties in the Upper Douro, on the right bank of the Douro River. The property, named Quinta de Lubazim, has 110 hectares, and they are growing more than 49 Portuguese varieties including touriga nacional, touriga franca, tinta roriz and syrah. In addition to selling their grapes for the production of Port wine, they produce wines under Quinta de Lubazim. I tried the Quinta de Lubazim 2015 Douro red wine, a wine made with 49 different grape varieties from the same row of old vines. The other label is Lupucinus, a word that is the diminutive for lupus, which means small wolf, the image on the label. Claudia Quevedo and her brother Oscar are the fifth generation at their family winery. Her brother Oscar studied economics and handles the sales for Porto Quevedo. Claudia, who said she was born in the middle of wine and barrels, decided to study wine. She was the first member of her family in five generations to formally study winemaker and viticulture and today is the winemaker. Porto Quevedo has 110 hectares of vines and 23 hectares of olives. They produce 100,000 bottles of still wines, named after her and her brother – Oscar is the still wine and Claudia is the reserve wine. They produce 300,000 bottles of Port, including organic Port. As a small family Port house, they are able to control the grapes from the growing to the aging of the wine and Claudia believes that managing the entire process results in the best quality wines. At Porto Quevedo, they make wines that they love and that means the style is a bit drier and very easy to drink. Lavradores de Feirtoria was created in 2000 with 15 growers with the idea to help small and medium size growers who wanted to bottle their own wine instead of selling the grapes. Today, there are 18-20 growers and more than 40 shareholders of the cooperative. Lavradores de Feitoria is able to work with grapes from different varieties, from vines of all ages and from different terroirs in order to create wines that have been rated as the Top 10 Douro/Ribera Wines. The business is run with a professional management team of viticulturalists, winemakers and marketers. And the CEO and commercial director is Olga Martins. After studying chemistry and winemaking, she joined Lavradores de Feitoria in 2001 on the sales team, quickly moving to sales manager. In 2003, she joined the board of directors and by 2006 she was named CEO. In 2013, Olga was awarded Executive of the Year under the Business Woman Award sponsored by Máxima magazine and the Jornal de Negócios. Maria João Aires Pereira was a professor of medieval history and social movements who then spent 13 years working in child literature at a publishing house. She was also a literary agent and opened a children’s book store. Maria fell in love with the Douro when she and her husband bought a quinta in Valença Do Douro near Pinhao with one hectare of old vines of 20 different grapes they sell. Maria’s new business Slow Douro was conceived after friends visiting from Switzerland asked her for help to plan a wine tour. She has developed a different concept from typical tourism operators and travel companies. Maria customizes in personalized wine tours, unique to each customer. The idea with Slow Douro is that you should not rush a visit to the Douro but rather take a few days to get to know the treasures the region has to offer. This entry was posted in Lifestyle, Wine and tagged A Ferreirinha, Ana Paula Filipe Castro, Catarina Albuquerque Castro, Claudia Quevedo, Douro, Lavradores de Feitoria, Maria João Aires Pereira, Napa Valley Register, Olga Martins, Porto, Porto Quevedo, Portugal, Quinta das Chaquedas, Quinta de Lubazim, Slow Douro, women in wine, women winemakers by Allison Levine.